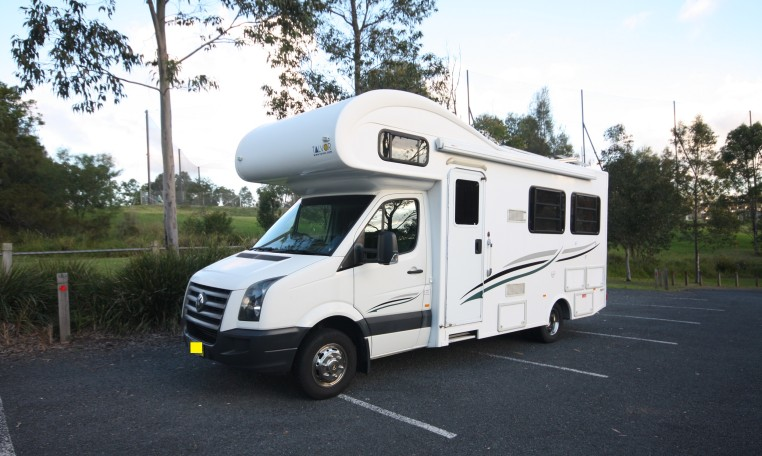 The Motorhome 4B Elite is a full sized motorhome. 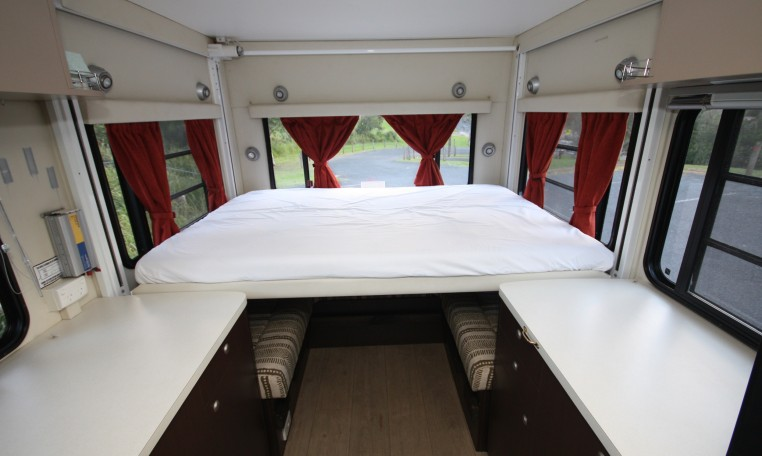 It has 1 double bed above the drivers cabin and a double bed on an electric hoist in the rear. 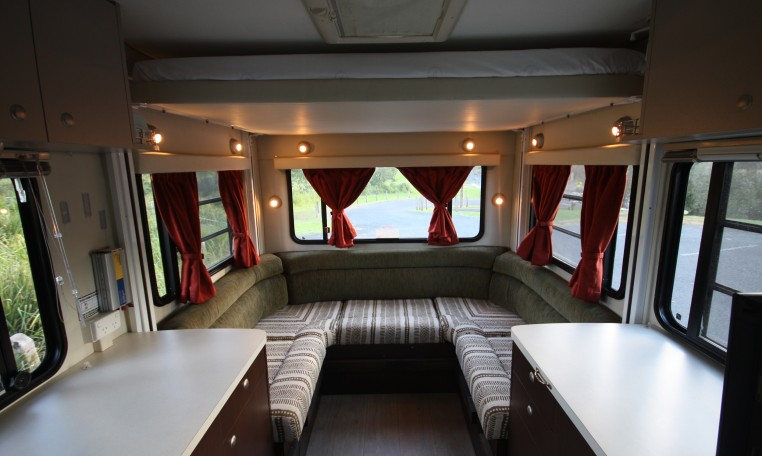 The rear lounge can easily seat 6 people and converts into a double or 2 single beds. There are 4 seatbelts, 2 in the front and 2 on the rear lounge. It is perfect for a family of 4 or 2 couples. 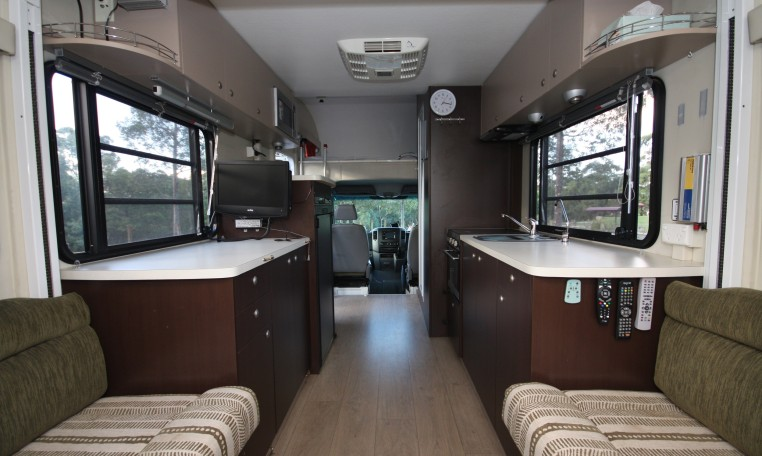 An awning, air-conditioning, TV, solar panel, microwave, shower and toilet, fridge (3 way) and stove are all standard features. All living equipment plus outdoor chairs and table are included as standard.